A culinary night with Food expert Stephan Lendi and Sommelier Oria Palmer, Brand Ambassador of Finca Es Fangar. 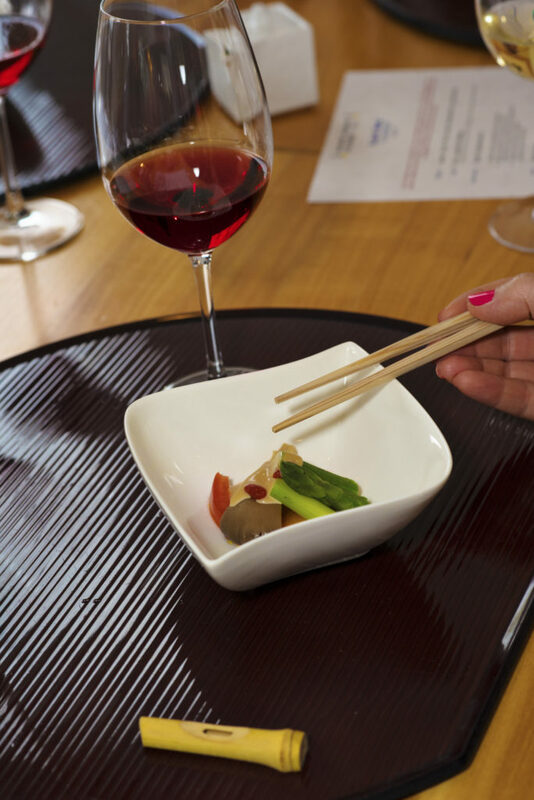 Japanese food is known for its simplicity, the immaculate presentation and the use of the best quality products. 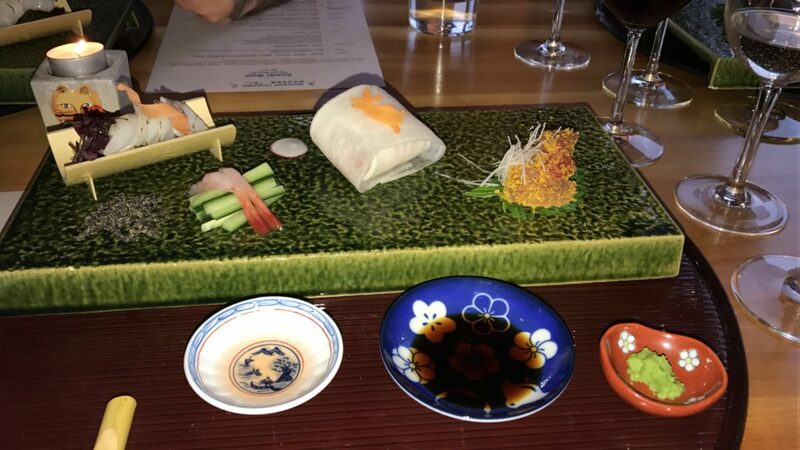 ZC visited Restaurant Ryokan in Widen. 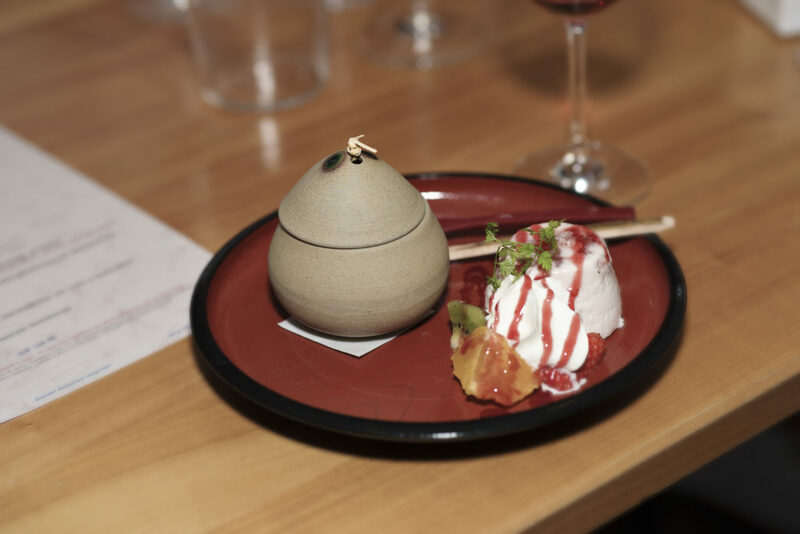 Together with food expert Stephan Lendi and sommelier Oria Palmer, we enjoyed a 9-courses ‘Kaiseki’ menu that is a joy to the sight, the smell and the taste. 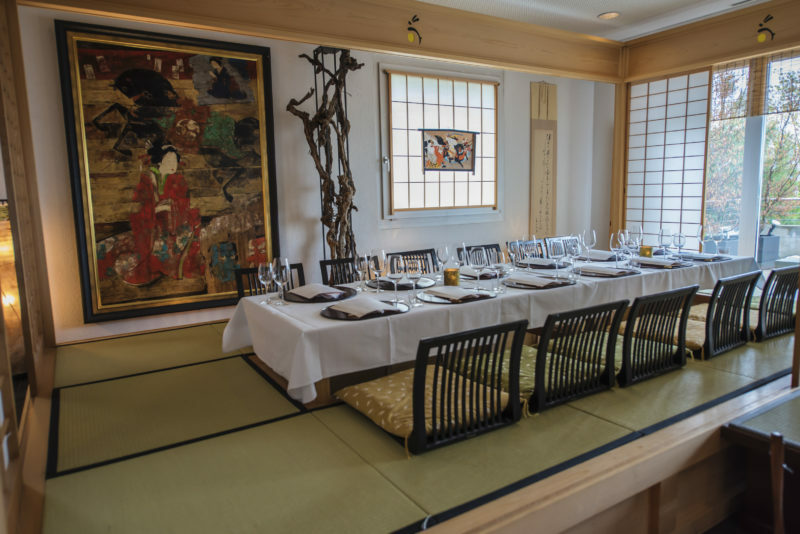 When it is an important meal and certain discretion is required, the famous Japanese Restaurant Ryokan offers a separate dining room served by a trained employee dressed in a NAKAI kimono. 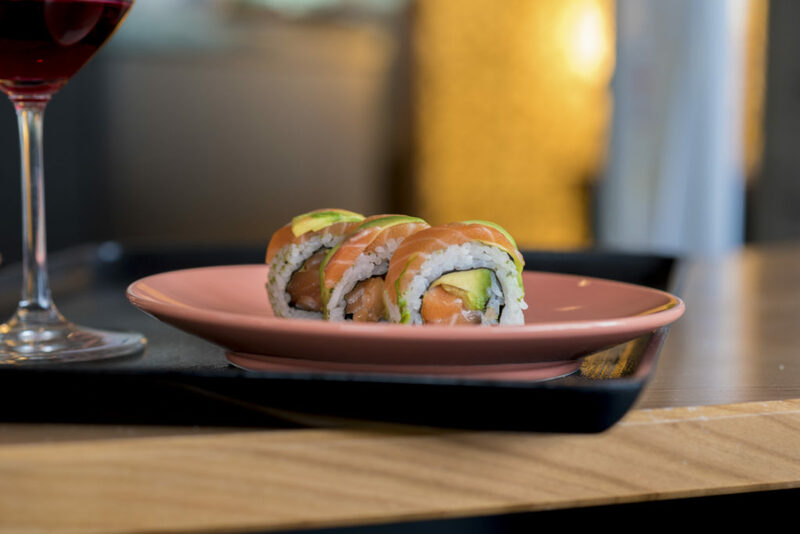 Everyone knows how essential our seasonal products are for our local gastronomy and the restaurant Ryokan presents refined dishes using Zurichsee fresh fish. 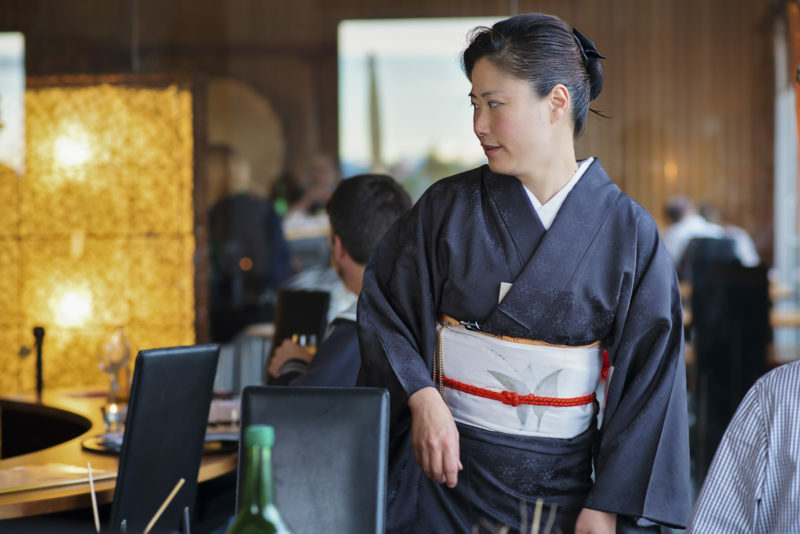 What is Japan without its fish and what is the Lake of Zurich without the Zurichseefelchen? 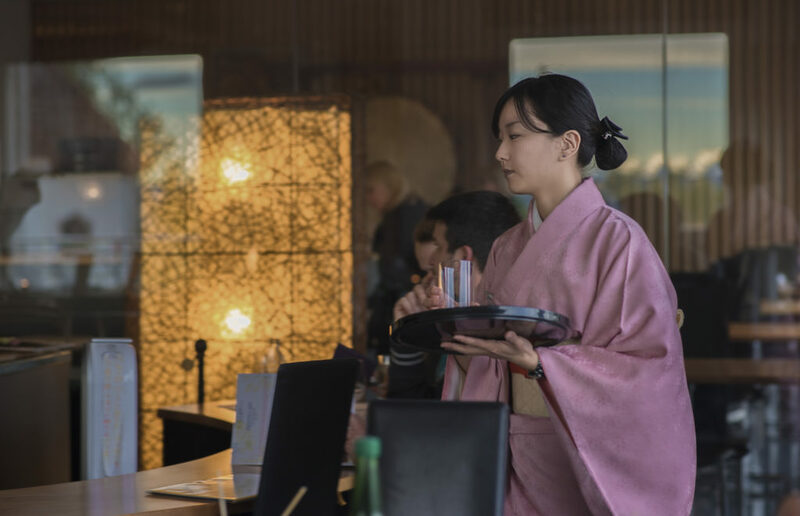 This the one and only Japanese restaurant where you will eat sushi made with fish form our lake. 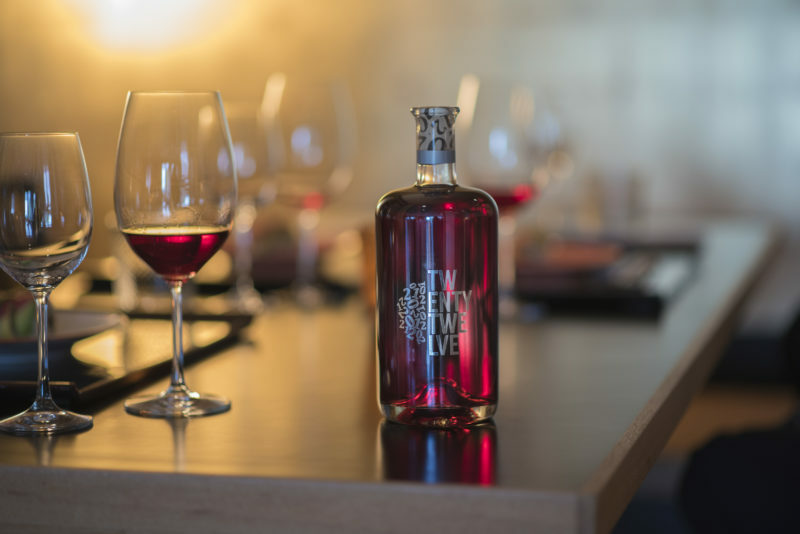 Enjoy a full senses meal with the best wines from Mallorca. Finca Es Fangar. Brand Ambassador, Oria Palmer suggested we should start with a Rosado 2012 trendy bottled.It was indeed a excellent choice and surprise! 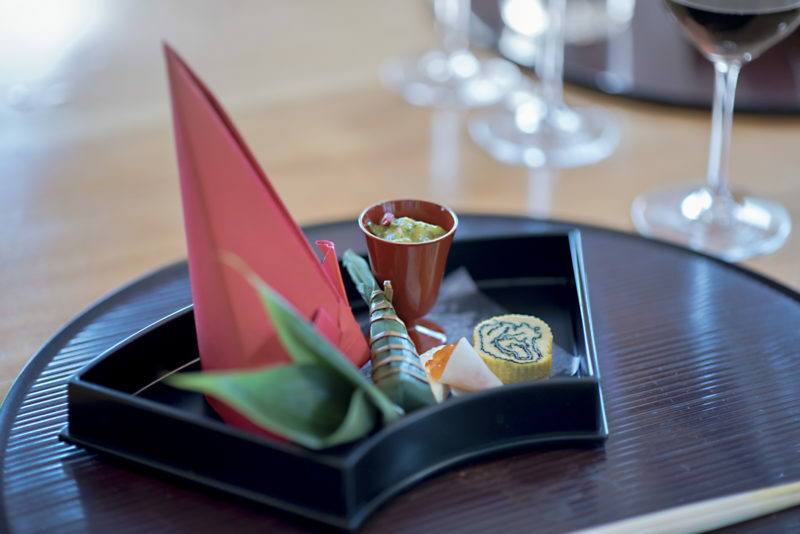 In the Zashiki you can enjoy a 9-courses ‘Kaiseki’ Menu elaborated with the best fresh and seasonal products.